UNTITLED 1994 Tracey Emin (1963 – )	P6299 © Tracey Emin. All rights reserved, DACS 2018. 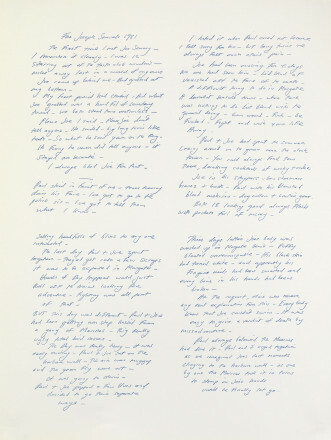 EXPLORATION OF THE SOUL 1994 Tracey Emin (1963 – )	P6967 © Tracey Emin. All rights reserved, DACS 2018. 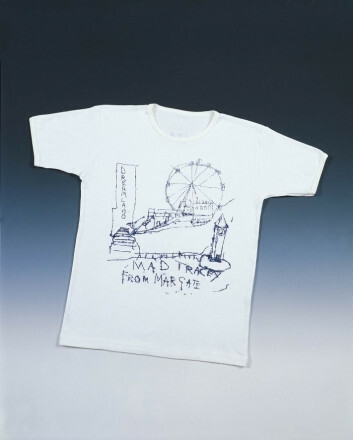 MAD TRACEY FROM MARGATE 1997 Tracey Emin (1963 – )	P6950 © Tracey Emin. All rights reserved, DACS 2018. 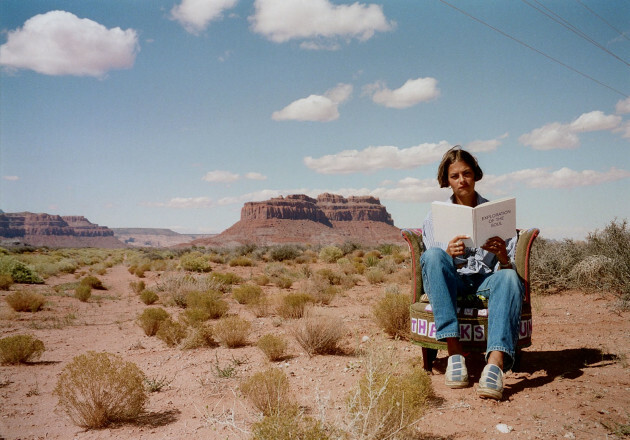 Outside Myself (Monument Valley) 1994 Tracey Emin (1963 – )	P8461 © Tracey Emin. All rights reserved, DACS 2018. 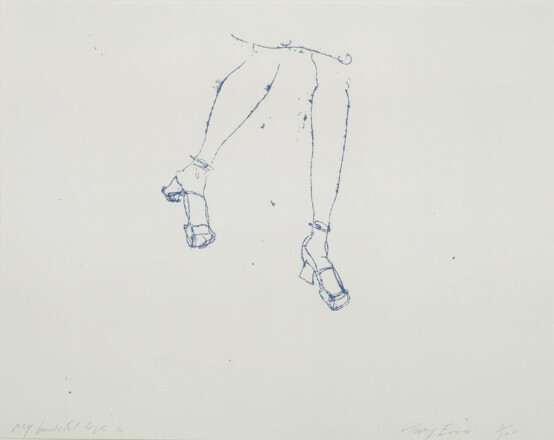 MY BEAUTIFUL LEGS 1997 Tracey Emin (1963 – )	P6935 © Tracey Emin. All rights reserved, DACS 2018. BIRDS 2012 2011 Tracey Emin (1963 – )	P8376 © Tracey Emin. All rights reserved, DACS 2018. 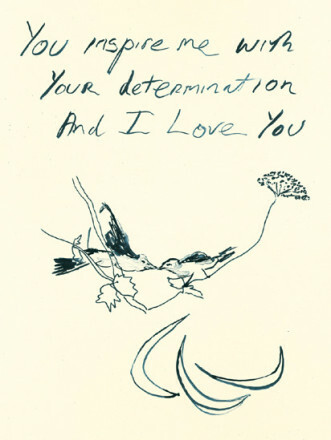 Tracey Emin was born in 1963 in Croydon, London and grew up in the seaside town of Margate. She was shortlisted for the Turner Prize in 1999 and represented Britain at the Venice Biennale in 2007. In 2011 she was made the Royal Academy's Professor of Drawing, one of the first two female professors in the history of the institution. 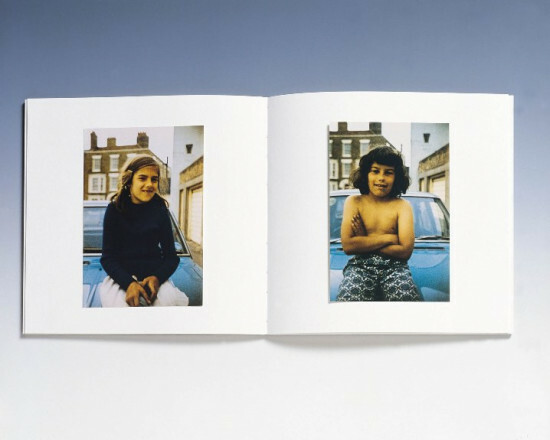 Exploration of the Soul (1994) is a handmade book chronicling the first 13 years of Emin’s life from conception to the loss of her virginity; the artist travelled across America reading from the book while sitting in a chair owned by her grandmother. 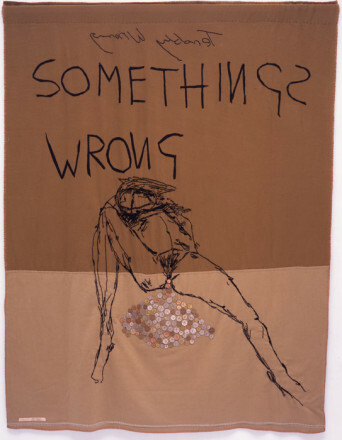 Something’s Wrong (2002) is a self-portrait in cloth and embroidery which shows the artist gathering a mass of appliquéd coins between her legs; perhaps an allusion to the wealth generated from the spilling of secrets.